We would like to welcome the catamaran, Meka of Tortola, into the charter fleet. Meka of Tortola is a 48-foot Knysna catamaran with a crew of two that charters year round in the Virgin Islands. This yacht is fully air conditioned and accommodates up to 6 guests in 3 cabins, each with ensuite head/shower. 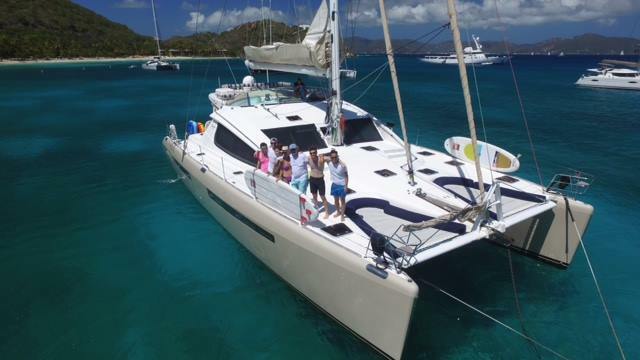 Meka of Tortola is currently (as of June 10, 2016) available for both Christmas and New Year charters in the Virgin Islands. Holiday rates are $19,000/wk for up to 6 guests. The charter yacht Dream Ketcher has a special offer for this special event. Sail with Dream Ketcher from Treasure Cay to Hope Town and get your 8th night FREE! 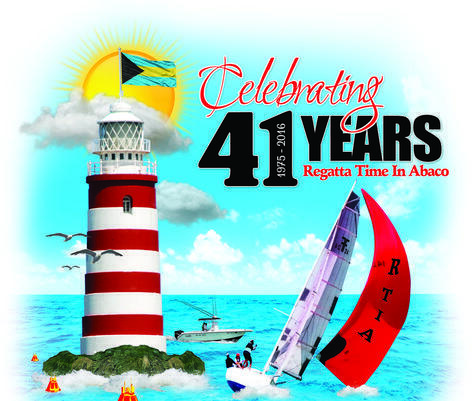 “Regatta Time In Abaco” (RTIA) is the largest event hosted in Abaco during the month of July. 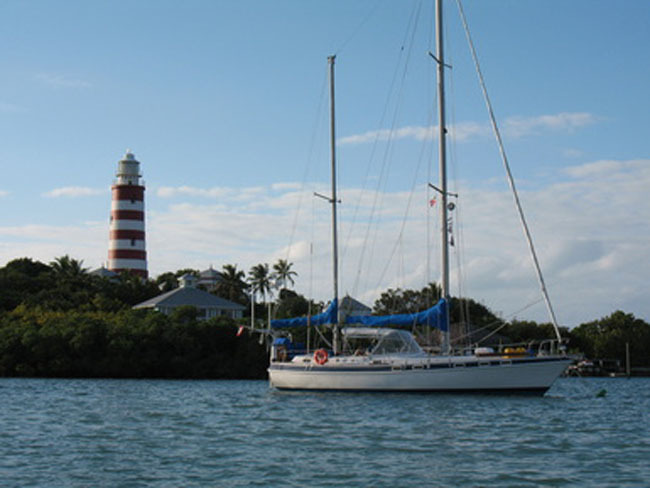 This is also a great way to explore and discover many of islands in the Abaco island chain. 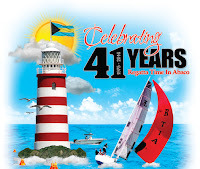 From Green Turtle's quaint community to Hope Town's iconic candy cane striped lighthouse, the food, the beauty and of course, the friendly hospitality of the Bahamian people. Enjoy the beaches, going diving or snorkeling or sailing, to discover the settlements, or doing nothing! And of course, to get ready to party every night in each settlement with special events organized for the Regatta followers! 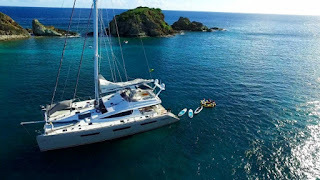 Want to charter a beautiful catamaran this summer at reduced rates? The XENIA Privilege fleet still has some openings. Xenia 50, Xenia 62 and Xenia 74 are offering 15% off for charters booked and completed by July 31, 2016 (5-night minimum). 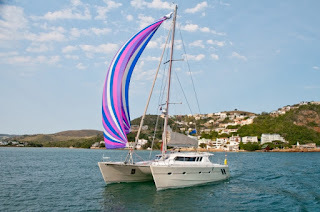 Xenia 50 is a 50-foot, fully air conditioned Privilege catamaran with a crew of two. Sleeps 6 guests: 3 glorious guest cabins, each with queen size berth, fresh water flush electric heads, stall showers. Salon seating inside for 6 guests for formal dining, seating for 6 guests in the aft cockpit for alfresco dining, top deck lounge and forward trampoline lounge areas. 15% OFF any new 5-night or longer charter booked by July 15, 2016 to be completed before July 31, 2016. Open: June 28 - July 22, 2016. 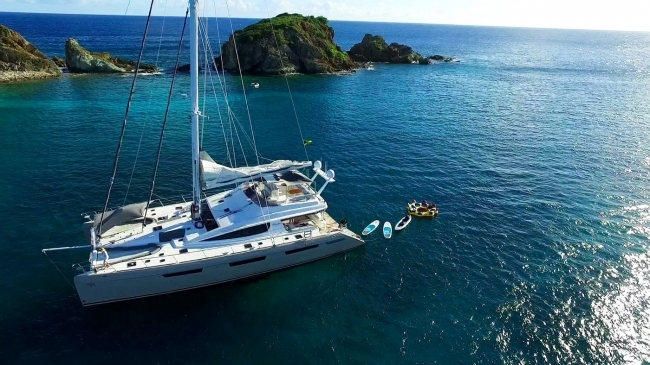 Xenia 62 is a 62-foot Privilege catamaran with a crew of two. This catamaran is fully air conditioned and sleeps 8 guests in 4 cabins: Two king cabins and two queen cabins each with private ensuite fresh water flush electric toilets, spacious vanity and shower stalls with 2 shower heads and 6 misting heads each! Enjoy the 360-degree view from up top on the beautiful flybridge. Dining and lounging in aft and main salon. Plus there are padded backrests on the trampolines. A very comfy and roomy boat! 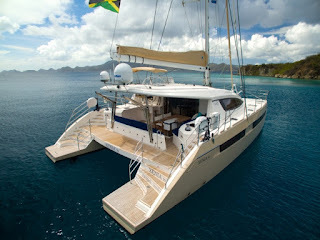 Xenia 74 is a 74-foot Privilege catamaran with a crew of three. This catamaran is fully air conditioned and sleeps 8 guests in 4 cabins: 1 King master suite with jacuzzi tub, 3 queen suites. All cabins have private ensuite facilities with electric heads. Beautiful upper deck lounge with 360 degree view, cockpit for alfresco dining and lounging, and main salon for lounging and dining. Enjoy the trampoline area with padded backrests. We hope you will be able to take advantage of these reduced rates this summer. Contact us and we'll get started.